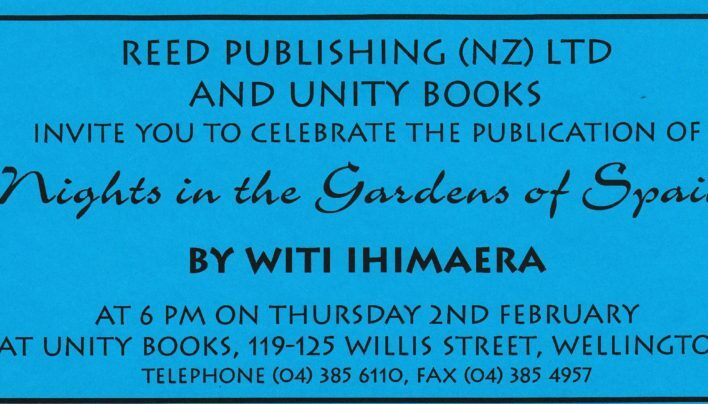 Flier for the launch of Nights in the Garden of Spain by Witi Ihimaera, published by Reed Publishing (NZ) Ltd and launched at Unity Books, Perrett’s corner. 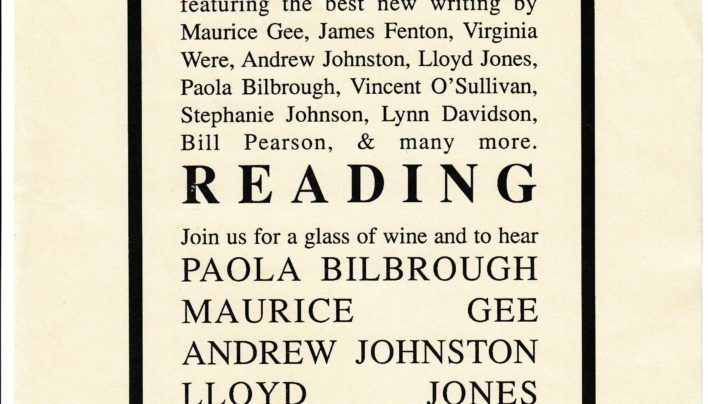 Playing on the tradition of Saturday afternoon sports matches, this flier for the launch of issue 5 of literary magazine Sport promises wine and readings from five contributors. 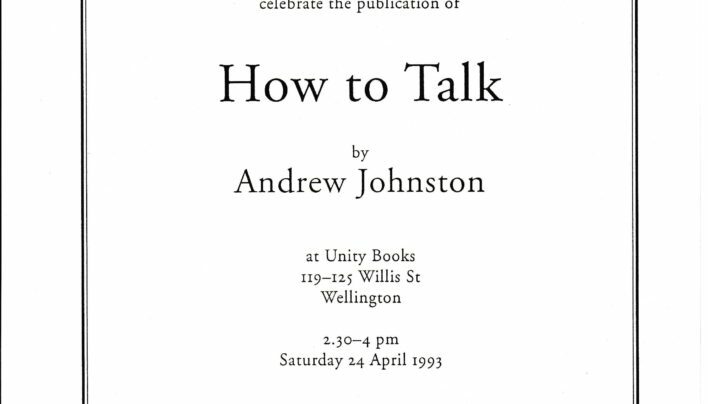 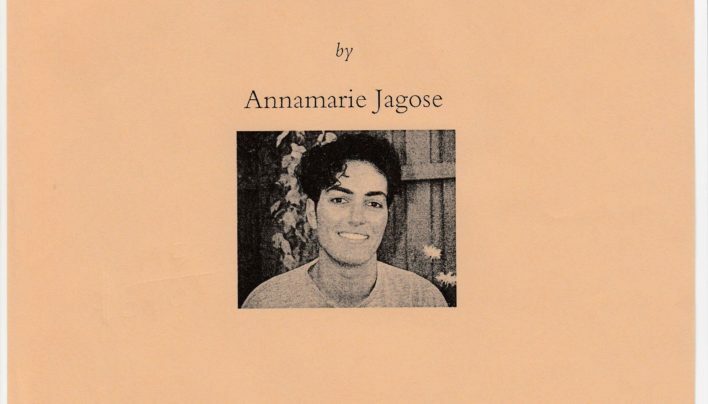 An invitation to the launch of In Translation by Annamarie Jagose, published by Victoria University Press and launched at Unity Books. 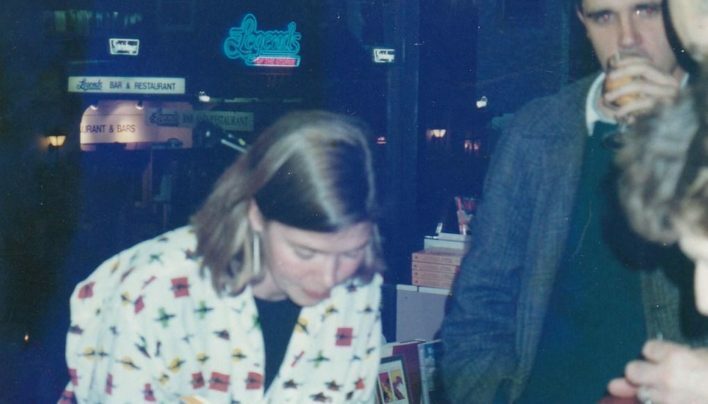 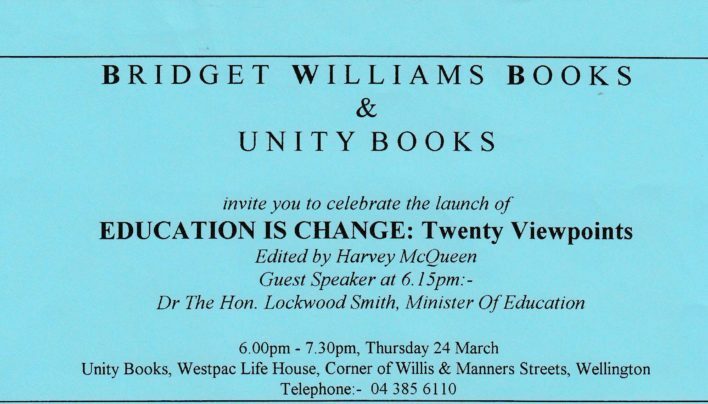 Photographs from the launch of Waiting Shelter by Jenny Bornholdt, published by Victoria University Press and launched at Unity Books, Perrett’s Corner. 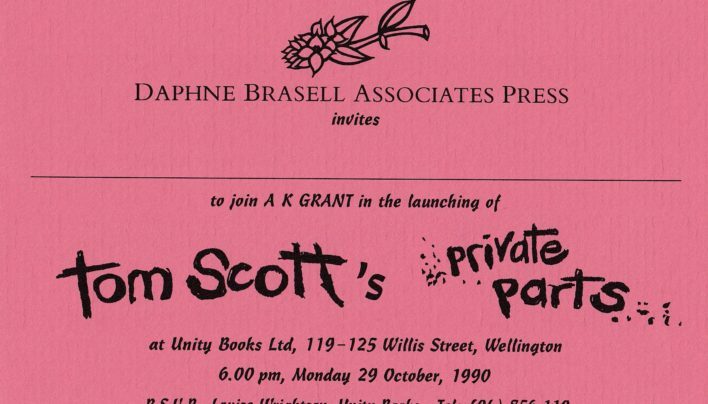 Flier for the launch of Private Parts by Tom Scott, published by Daphne Brasell Associates Press and launched by A K Grant at Unity Books. 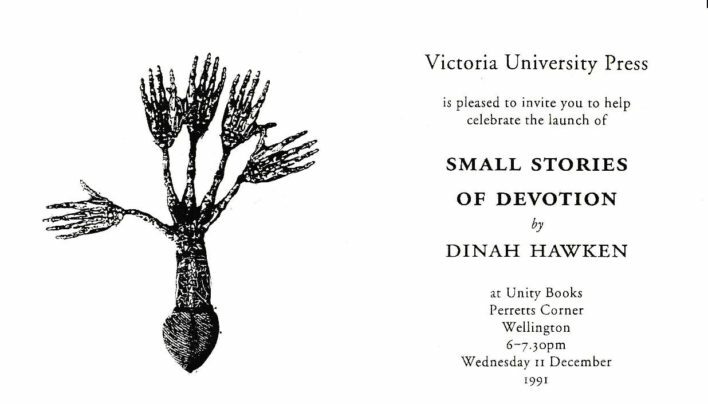 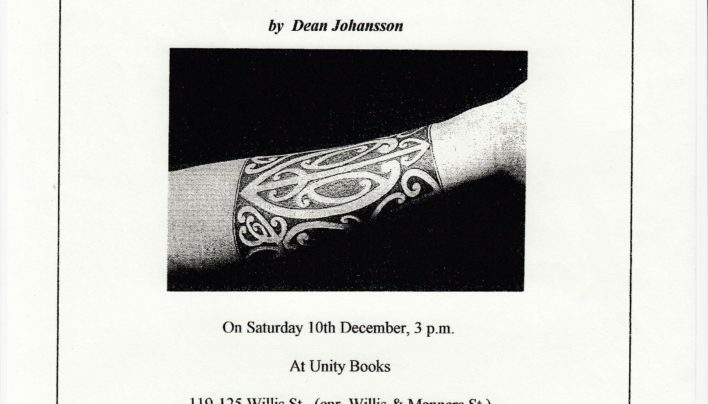 Flier for the launch of Small Stories of Devotion by Dinah Hawken, published by Victoria University Press, launched at Unity Books, Perrett’s Corner. 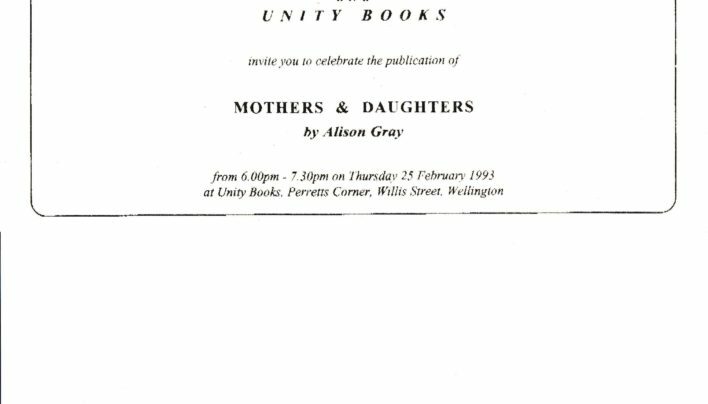 Flier for the launch of Mothers & Daughters by Alison Gray, published by Bridget Williams Books and launched at Unity Books, Perrett’s Corner.